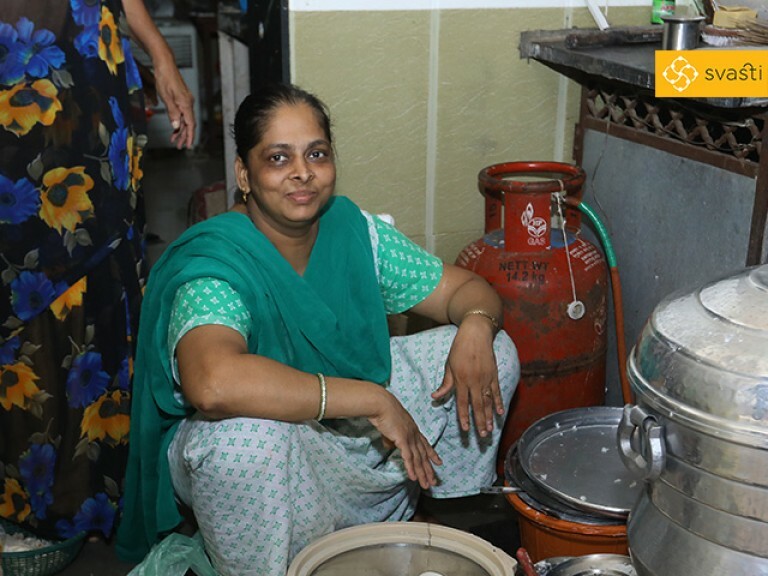 Suraya Abdul Sattar Shaikh lives with her son Ibrahim, in a small house in the Govandi area of Mumbai, and they run a general retail store to make a living for their family. Suraya was always short of money to buy retail stock and other materials for her store, so she had approached many credit institutions for help, but they all denied it, looking at her income and lack of collaterals for a loan. Then Suraya heard of Svasti from a friend who had already taken a loan from us. 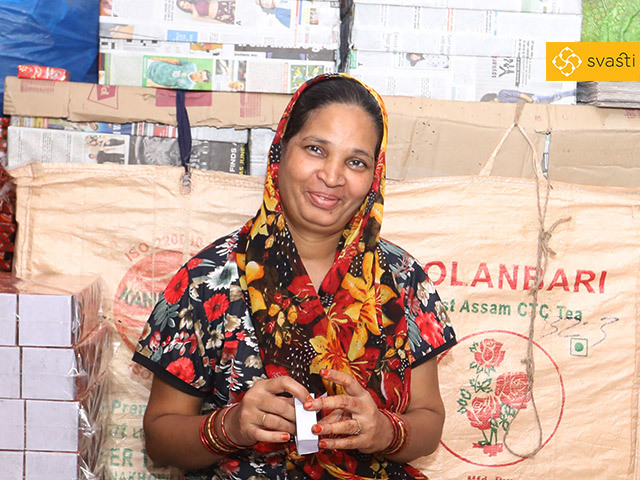 Hearing of our JLG Loans, Suraya gathered four other women like her, and she got her first loan of Rs 15,000 from Svasti, with mininal paperwork, and no collateral given. 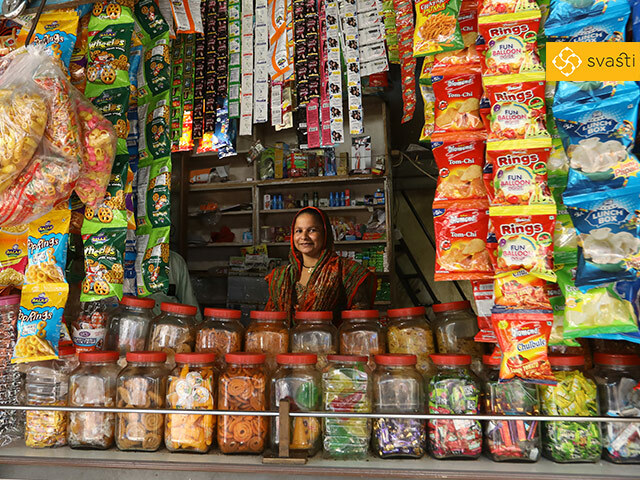 With the Rs 15,000 she got, Suraya bought stock in bulk for her store. This not only helped increase her profit margins, it helped her establish a smooth pipeline for cashflow and business growth. After repaying the loan of Rs 15,000 Surarya took loan of Rs 25,000 which she repayed, and then took another of Rs 40,000, to grow her business, and has never looked back since. 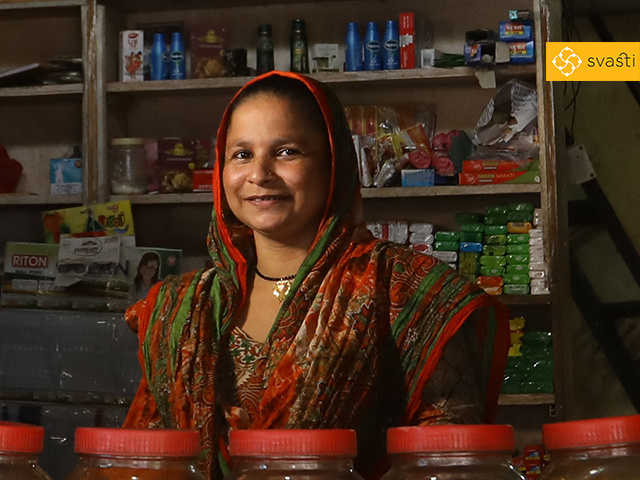 Suraya says “Svasti has really helped me a lot, to run my general store properly, and to take care of my family”. 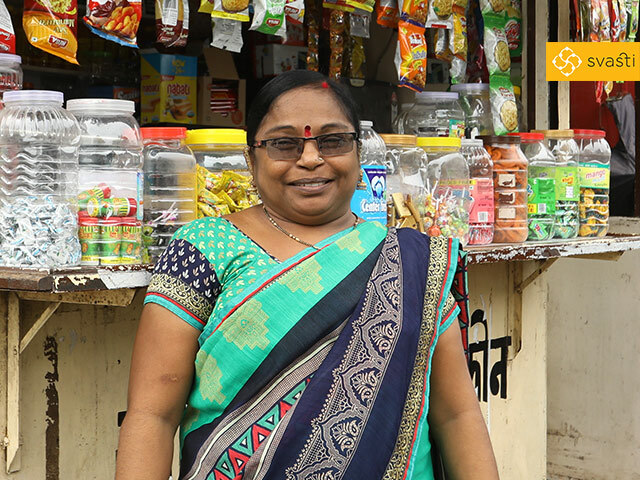 In the future, Suraya hopes to invest and start a second retail store, which her son can manage and grow independently.